Irene Cook is an educational assistant at SFdS. She has 19 years of experience and holds a Bachelor of Arts degree from Salisbury University. 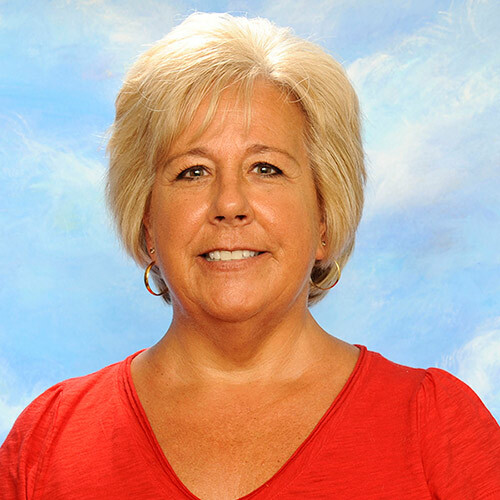 She has worked at SFdS for 19 years and uses her role in the classroom to support the teacher’s goals and objectives for each child. The students benefit from having two adults in the classroom and get additional attention to help them reach or exceed their individual goals. Irene is an alumnus of St. Francis. She joined the SFdS staff after her children started attending the school. She finds great joy and fulfillment from watching the students learn a new skill, sharing a joke or great family story. She loves that each new day is an adventure!